It has been a long, long time since I have posted. 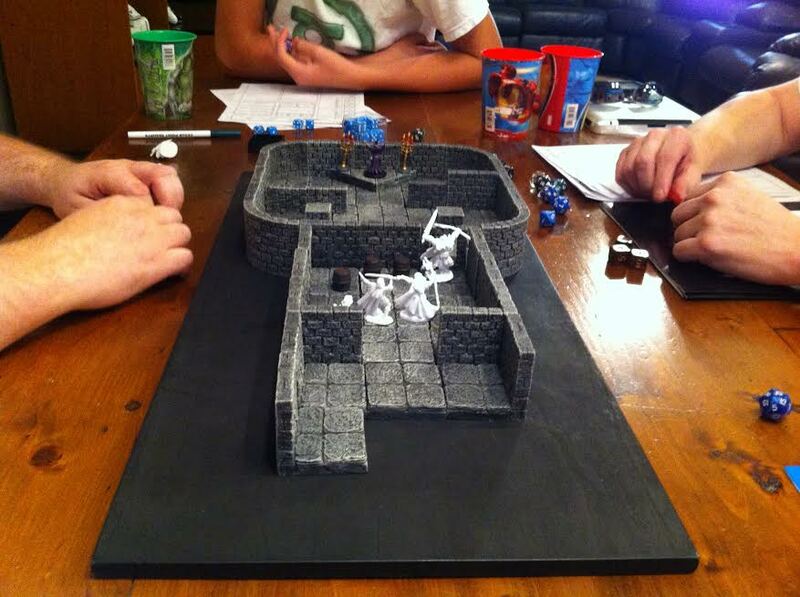 After reviewing a couple D&D Classics releases this past winter, this blog went silent. In April, I made a half-hearted attempt at a post entitled “D&Doldrums”. It was almost as boring to write as it would have been to read. And so, almost five months went by. As the news of 5th edition’s release drew near, my anticipation grew by leaps and bounds. I picked up the new Starter Set on release day, downloaded the Basic Rules, and consumed them. Much has been said by many more experienced reviewers than I, so I won’t go into too much detail. Suffice it to say that I think the Starter Set is a fantastic bargain, and the Basic Rules are a solid starting place for anyone who is interested in D&D. Both products are exactly what they need to be. As a longtime fan of the old school D&D Basic rules, I feel the new Basic Rules are robust enough for many, many hours of adventuring. I am still looking forward to the Player’s Handbook, since the basic four classes are a bit restrictive for most players. 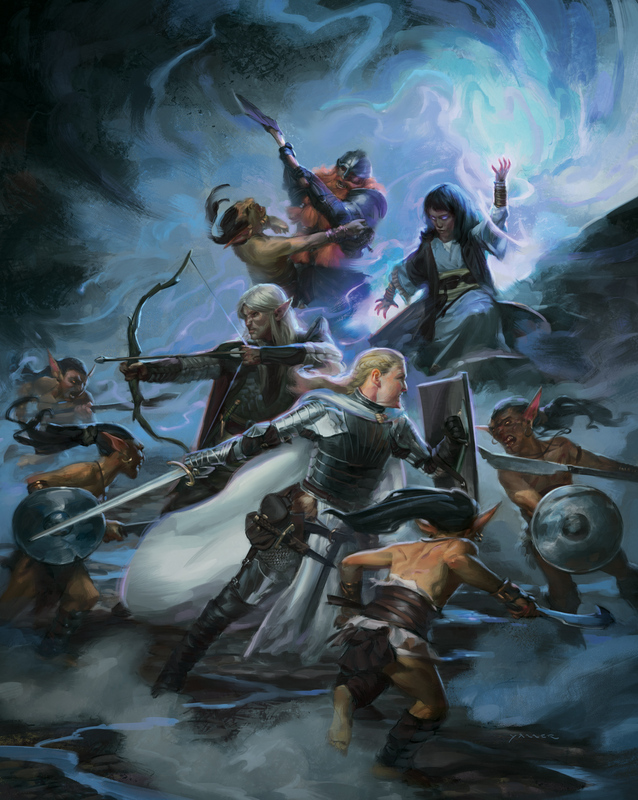 More choices for races and classes are good, though I personally won’t allow all of the PHB options in my campaigns, unless the player makes a very strong case for it, of course. A lack of monsters is a bit of a problem, but with a little creativity and some reskinning, you can do quite a lot with just the options in the Starter Set. New monsters are supposed to be added to the Basic Rules once the PHB is released. Hopefully it will be enough to last until the Monster Manual hits later this year. But products and rule sets alone don’t get me excited enough to write. Actually sitting down to play D&D with people, though, that will do it. This past weekend, I had one of the best gaming sessions of my entire life. One of my best friends who I have known since junior high (and played plenty of D&D with before) is one player, and he brought his 11 year old daughter, a first timer, as well. My son, now thirteen, was thrilled to play, and another great friend I’ve played games with since college rounded out the group. Each of the players took the time to develop an interesting backstory. I initially chose Dragonlance as the setting, which had me all gooey inside. However, due to some Krynn-unfriendly class choices (two players wanted to convert their wizard and cleric to warlock and druid after the PHB hit), and a desire to use the upcoming Tyranny of Dragons material, I decided a swap to Forgotten Realms was in order. I am looking for a good primer on the setting as it currently exists, so let me know if you are aware of anything. During play, it became clear we had a great mix of player types. A good balance between power gamers and story tellers is great for a DM; I delegated initiative tracking and mapping to the power gamer, while the story teller thrived when I asked him “tell me what that looks like” after a critical hit. The younger players provided a level of joy and humor to the game that made it much more fun. It was an amazing experience from start to finish, and we are all excited to play again soon! So, to conclude, I guess the message is: I am back! 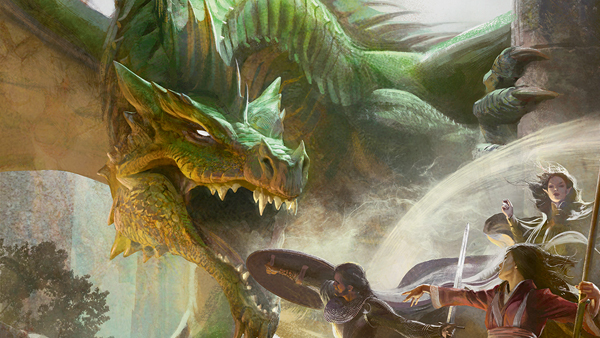 The new edition of Dungeons & Dragons is for the most part, exactly what I am looking for. Using theater of the mind as much as possible, I can concentrate on reacting to the players and improvising more. But sometimes I want to get out the poster map or Dwarven Forge tiles and minis for a set piece encounter, and the rules allow this seamlessly. (I am interested in a few more options for gridded combat, presumably in the Dungeon Master’s Guide to come.) I hope to keep the new group up and running for a long time to come. It’s a great time to be a D&D fan!